If you haven't noticed, autumn is my favorite season. But considering all of September has been filled with 90 degree weather, I haven't brought myself to pull out my fall goodies. Until yesterday. In anticipation of today's weather, a fall wreath was constructed, candles were lit and kitchen towels were changed. And today has not disappointed with a current temperature of 70 and rain falling from the sky. we were trying our best to be creative! And to top it all off, I had my first pumpkin spice latte of the season. Welcome fall...I'm so glad you came to stay awhile. I love you love Fall....and not just a little....you love love it! 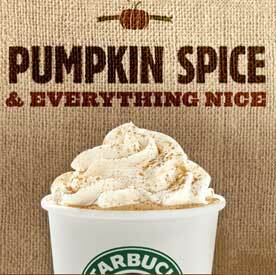 I'm know in the Fall spirit....and craving a Pumpkin Spiced Latte!